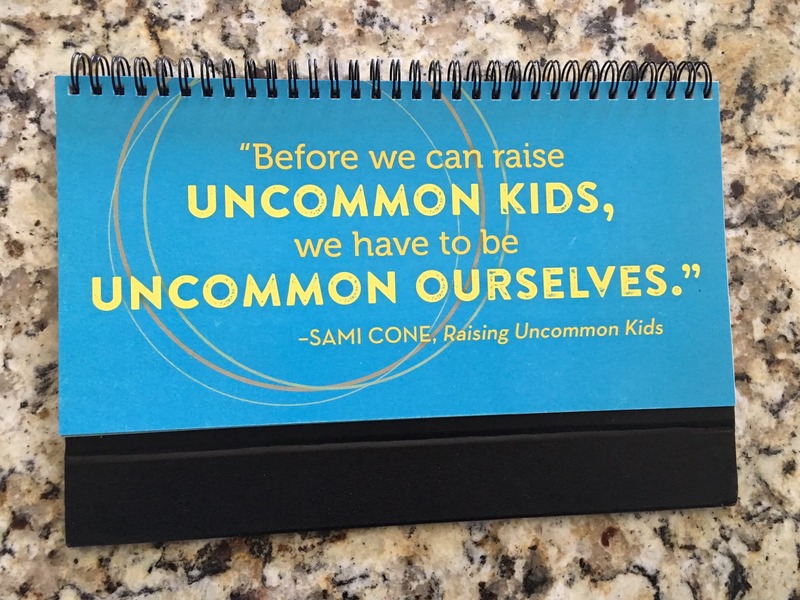 Today is the day that ‘Raising Uncommon Kids‘ hits bookshelves around the world. I am so happy to say that I am friends with the author, Sami Cone, and am so proud of her and her work. This book was a fantastic read! My husband and I have been fighting with society ever since becoming parents. Today’s values are just not in line with how we were raised and because so, our role as parent has felt harder at times — just too much to reconcile. If we were looking for an easy and doable way to plug back into the beliefs that we held true in our hearts and souls, we found it. And now I want to put it on your radar. Children learn by watching. They learn by absorbing what their role models DO. Are you presenting the traits you want your children to acquire? What a true lesson for me — an eye opener if you will. I want my kids to possess gentleness, forgiveness, patience, gratitude, and humility… but do I possess these things? Do I show my children the way? If you are looking for some perspective, you found it. The greatest lesson we teach our kids isn’t anything we say–it’s what we do. Many parents are surprised to discover just how little we’re actually modeling the behaviors we hope to pass on–qualities such as unconditional love, gentleness, forgiveness, patience, gratitude, humility, and more. This unique book offers a fresh way to look at molding your children: by focusing more on adding good behaviors than on eliminating bad ones. 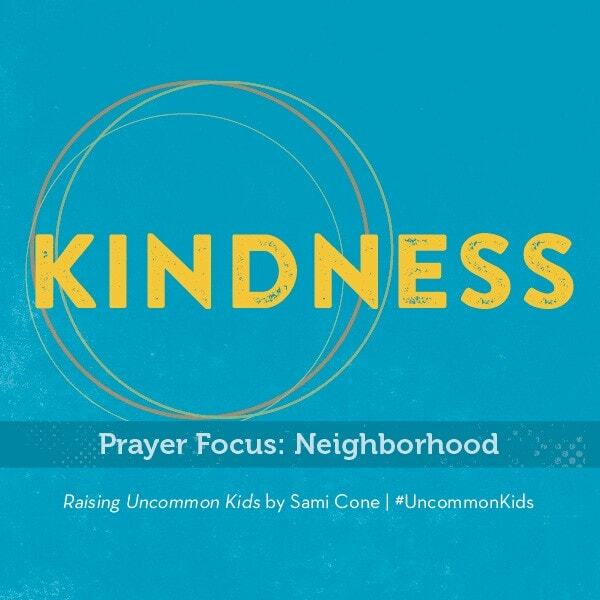 Grounding her advice in Scripture, Sami Cone shares stories from her own life to show these principles in action. And she outlines practical things you can do right now to create a home and family that exhibits love, harmony, and generosity of spirit in a self-centered world. 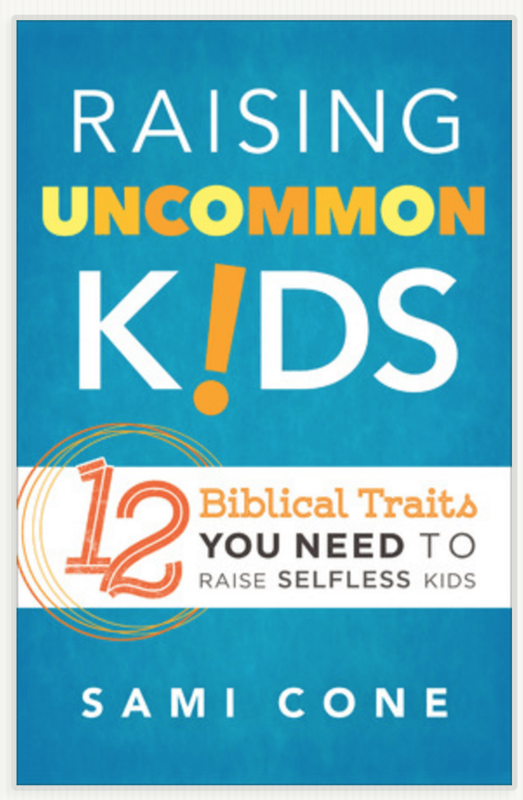 To learn more about Raising Uncommon Kids: 12 Biblical Traits You Need to Raise Selfless Kids, click here.